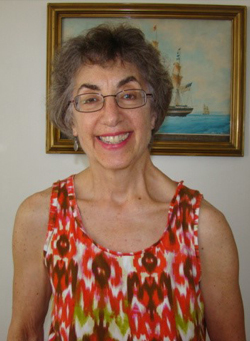 Sally is a seasoned psychotherapist with 30 years of experience in counseling. Her motto is, use what works and have a large bag of tricks and that she does. Sally has known that traditional therapy alone has its limitations, so has incorporated many unique and effective hands on techniques into her practice. Hypnosis, energy therapy and NLP help reach the unconscious mind and promote profound and lasting change. Sally is trained in these therapies at the advanced level. Sally’s articles and book can be found on many parenting websites. She authored the book ”How to Raise the Next President,” and has been on radio shows promoting the book to include Sally Jesse Rafael radio show and others. She has lectured locally and nationally on sponsoring emotional development in children. Widowed at age 44, with a 6 and 8 year old, Sally knows the challenges parenting and single parenting presents. She has successfully raised two teens. Her goal is to help people become the best communicators possible to themselves and others, and to offer spiritual solutions to complex emotional challenges. I have been working in the mental health field for almost 20 years. While I have spent much of my career working with teens in a residential settings, the last 5 years have been focused on Adults of all ages, from all walks of life. Colleagues and clients have stated that I am "down to earth" and "develops great rapport pretty quickly", which I attribute to my laid back style of having a therapeutic conversation.... so if you're not into talking, don't worry, We won't sit in silence! I am trained in treating hoarding behaviors, Post Traumatic Stress Management, Psychological First Aid, and Emotional Freedom Technique (aka tapping). I believe that every experience, positive or negative, provides us with the opportunity to create change within ourselves and in our relationships. 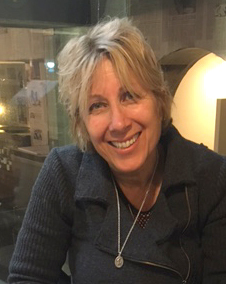 Janice is a Clinical Social Worker with over 20 years' experience in individual and group therapy. She has a broad range of experience working with adolescents, couples, families and adults. Areas of expertise include anxiety disorders, affective disorders, major mental illness and high functioning autism disorders. 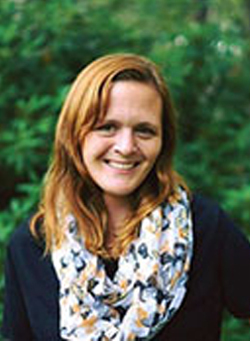 After receiving an undergraduate degree from Harvard, MS Palken-Tervo earned her MSW from Simmons College. She is certified as a couples' therapist by the Psychoanalytic Couple and Family Institute of New England. Besides being a skilled psychotherapist, she is an accomplished musician having an advanced music degree from Yale. She has performed as a professional cellist for over a decade in Germany and continues to perform chamber music with her husband in benefit concerts for various human service and charitable organizations. 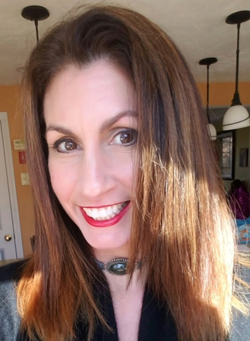 Denise Dellasanta is a licensed mental health counselor with a holistic approach who believes the key to emotional wellness lies in our ability to recognize and utilize our inherent individual strengths to overcome the challenges of living in a less than perfect world. 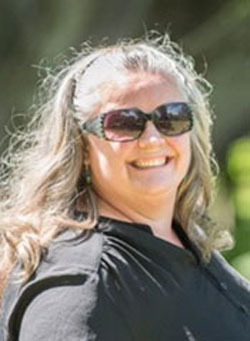 Denise has over fifteen years of experience in the field and has worked with people suffering from major depression, anxiety, bipolar disorder, addiction and major mental illness. Denise has also been extensively trained in CR for PTSD, a short term non-exposure treatment for people suffering from Post traumatic stress disorder, and can help people overcome the symptoms of trauma from childhood sexual/physical abuse, violence and traumatic accidents. Denise believes that effective therapy leaves you feeling renewed, hopeful and with the skills you need to live a happier, more satisfying life. 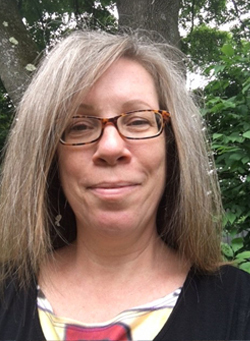 Terri Connors-MacMillan holds a license as a Mental Health Counselor in Massachusetts and is also a Board Certified Registered Art Therapist. Past experience includes treatment with children, adolescents, and their families in schools, hospitals and residential programs. My process with clients typically evokes both verbal and non-verbal forms of therapy with the goal of understanding, and creating useful narratives about life experiences. Art Therapy combined with verbal and other experiential modalities can foster increased communication and self-regulation. It also allows for self-expression and integration of feelings and experiences which are difficult to process with words. No art experience is needed to benefit from this approach to therapy, and people at many developmental levels and ages can use it to address a range of concerns, including depression, trauma, relationship issues, and anxiety. In addition to my masters training in Expressive Therapy at Lesley University, I have been trained in trauma informed treatment, attachment theory, and existential, cognitive behavioral, and mindfulness approaches to therapy. The process in a session surrounds creating a safe environment where children, adolescents and adults can explore thoughts and feelings at their own pace, and that overall, the therapist and the client collaborate to facilitate what approach is most useful and when. Terri is also a visual artist, and the mother of a seven year old son. Louise is a Licensed Marriage and Family therapist with over 25 years’ experience. with individual, couples and family therapy. In addition to her graduate and post graduate studies in family and couples counseling Louise has also had extensive training and certification in evidence, -based trauma informed care, attachment theory, grief work, and cognitive behavioral therapy. Areas of expertise include adolescent and childhood trauma/PTSD, depressive disorders, affective disorders, anxiety, ADHD, and major mental illness. Louise’s approach with clients is empathic with a focus on creating a safe space that allows them to explore their challenges, successes, emotions and issues at their own pace in order to facilitate growth, healing and positive change. In addition to traditional therapeutic approaches she also incorporates a variety of creative approaches and strategies to enhance the therapeutic experience. Hillary Dahl is an intuitive energy worker that has a Master Shamballa Reiki Certification and Usui Reiki 2 Certification. She has developed her unique gifts to work with the emotional energy body, and combine it with Reiki energy work. She has been working exclusively as a practitioner for with children and adults. Hillary’s energy work helps promote relaxation, and provide peace of mind for your current life situations. The energy work she provides can help you to break cycles of the past to bring more clarity in your current life. She then leaves room for a comforting conversation, positive resolutions, and a step-by-step plan to gain results. Whether you want to enjoy a nice relaxing Basic Reiki Session, or Reiki with Energy Work, Hillary will be able to work with you in a nurturing, supportive, and professional manner. 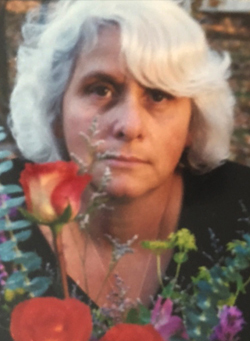 Sheila Peters had a long career (35 + years) as a professional dancer and choreographer and continues to teach dance and movement classes. As a dancer, Sheila came to deeply understand the body's energies in relationship to maintaining health physically, mentally, emotionally and energetically. Energy Medicine, as practiced by Sheila Peters, is based on Traditional Chinese Medicine acupressure points, meridians, and chakras in conjunction with Eden Energy Medicine, Reiki, and other somatic techniques. Non-invasive methods such as tapping, holding, buzzing and connecting various points on the body and in the biofield help re-balance and center a person's energy systems, releasing blockages, so that the body begins to heal itself. 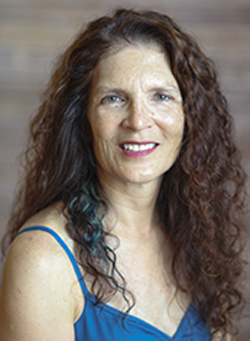 Sheila has studied Feldenkrais and Alexander Techniques, Reiki, Eden Energy Medicine and other diverse somatic modalities. She holds a BA in Dance, a MS in Leadership/Communications, an advanced Reiki Practitioner Certificate, and expects to complete her Eden Energy Medicine Clinical Practitioner certificate in January 2016. "Remove the Roadblocks to Positive Life Changes"
Charles Childress holds a Certification in Hypnotherapy, and is a member of the National Guild of Hypnotists. 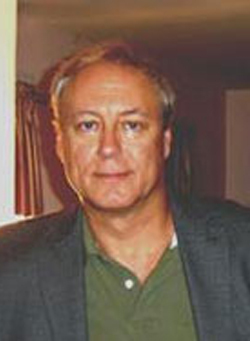 He also holds a Master’s Degree in Cultural Anthropology from the University of Oklahoma, and an international certification in Information and Technology Management from the ICRM Board. His hypnosis technique includes progressive relaxation and rapid induction, neurolinguistic programming (NLP), Time Line Therapy, Emotional Freedom Technique™ (EFT), and Integral Eye Movement Therapy™ (IEMT). In his current hypnotherapy practice, Charles specializes in helping clients with weight loss, attention deficit disorder (ADD/ADHD), stress reduction, self-esteem issues, PTSD, phobias, long-term anxiety, and smoking cessation (for either tobacco or marijuana). He also enjoys working with young athletes for sports performance enhancement (including golfers of all ages). "My favorite approach with clients is to include life goal setting, and coaching to achieve those goals. This is a large part of my practice that I enjoy very much. We break the goals down into small, easily do-able steps so that momentum is created by small but quick successes. This eliminates any chance of being overwhelmed by a goal no matter how ambitious it might be. Throughout this process, I include the use of hypnosis and other techniques in eliminating unconscious roadblocks that may hinder the person’s goal achievement. I find that young men in particular (teens and young adults) benefit greatly from this process, but it can work for most anyone who is motivated to achieve something they really want." Charles can be reached at 888-497-1089.